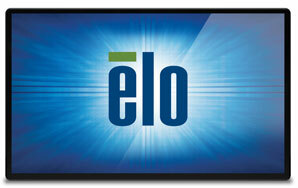 Elo has announced the availability of their newest additions to their Open-Frame line of touch displays with the 1590L, 1790L, 2293L, and 2294L. These new standard models are the next generation product replacements for the 1537L, 1739L, 2243L, and 2244L models. All 90 Series open frames come standard with high quality LED panels, VGA, Display Port, USB touch, and on select models serial touch. Every model is designed with the same, height, width, and mounting locations as the existing versions you are buying today to make the transition as easy as possible. Each option provides stable “drift-free” operation with outstanding image clarity, resolution and light transmission – for an accurate touch response and vivid images. The 90 Series open frames are an ideal solution for many public applications including gaming, self-service kiosks, gift registry, food ordering, and airline check-in. Elo open-frame touch displays have a long product life because the enclosure specifications are controlled directly by Elo. This makes future panel improvements easier to implement without having to make external dimensional changes. All of the new 90-series displays are also backed by a three-year standard warranty.